Jonathan Handel, a contributing editor for The Hollywood Reporter, covered that tense period during the late summer and early autumn of 2010, when it looked as though the Hobbit production might leave New Zealand. Readers will no doubt remember the labor union issues that raised that threat and the negotiations between Warner Bros. executives and the New Zealand government. 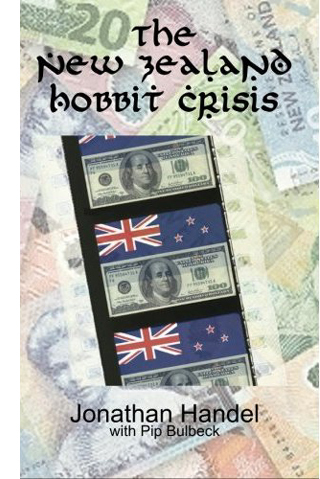 Handel has revised and updated his reports into a short book, The New Zealand Hobbit Crisis, available in print form and for Kindle. If you weren’t paying much attention at the time or just have forgotten some of the details, now you can read about that episode secure in the knowledge that The Hobbit‘s production remained in New Zealand!